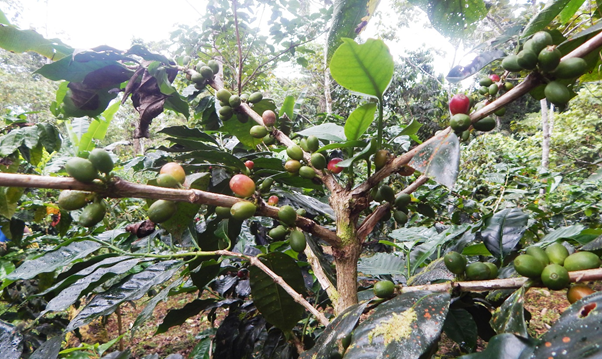 Arabica Katura coffee variety grown at Kolokarako in Highlands of Guadalcanal Province. THE National Statistics Office (NSO) of Solomon Islands in collaboration with the Ministry of Agriculture and Livestock (MAL) are currently rolling out the survey on ‘big farms’ across the country. The survey is part of the National Agriculture Survey Project 2017 (NASP) that the NSO piloted since last year under its 20 years National Strategy-National Statistics Development Strategy 2016/17-2035 (NSDS). The big farms survey is the second component of the NASP currently being undertaken and supplements the data collected from the household based agriculture survey that was completed in October last year and the data currently being analysed. Government Statistician, Mr. Douglas Kimi is pleased with the current progress so far and has acknowledged the work being progressed by MAL’s Extension Officers and SINSO Headquarter Staff. National Project Coordinator Charles Oloka said so far four provinces has been completed with the canvassing of ‘big farms’ while others are yet to be canvassed. Mr. Oloka said canvassing for Guadalcanal Province is currently in progress with 22 ‘big farms’ are still yet to be canvassed since they are located way-up in land and that requires a lot of travelling by boat and walking to the farms sites. Meanwhile, he said for other provinces including Malaita, Choiseul, Western and Renbel provinces canvassing will start as soon as logistics and funds are available. The 2017 NASP was the country’s first ever national agriculture survey and thus covers all selected household agricultural holdings. The survey is intended to assist the government through its responsible ministry, the Ministry of Agriculture & Livestock (MAL) with planning to improve agriculture production in the country. The survey will provide benchmark data on land use, type of agriculture and related activities, structure of agricultural holdings and their main characteristics, to support the strategic plans and programmes of the Solomon Islands on agriculture production and investment as well as to support development of some Sustainable Development Goal (SDG) indicators in the agriculture sector. The project is supported by the Solomon Islands Government (SIG) through the Ministry of Agriculture and Livestock (MAL) with the Technical support from Food and Agriculture Organisation (FAO) and Secretariat of the Pacific Community (SPC). The survey (NASP 2017) results are expected to be released in the second quarter of next year.